CMOs and CFOs often speak completely different languages. This can create a lack of understanding and appreciation for the role and impact of marketing on the business. 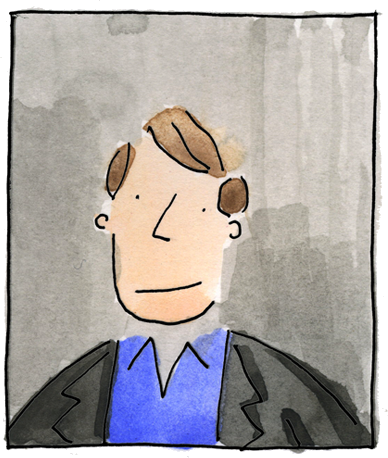 “Because many CMOs have risen through the creative route, much more than the financial route, they are like a rabbit caught in the headlights. They talk about jargon and marketing KPIs, which the CFO and CEO could care less about – they are looking for financial results. 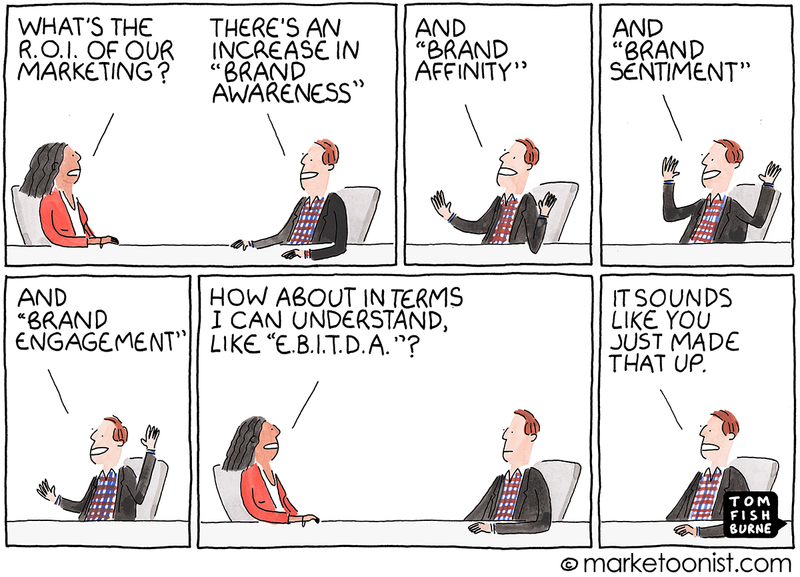 Is customer growth happening, is my profitability increasing, what is marketing doing to my EBITDA? Last year, Coca-Cola replaced the global CMO position with a Chief Growth Officer position, following consumer brands like Colgate-Palmolive, Coty, Mondelez, and Tyson Foods. These changes are seen as signs that the credibility of the CMO in the C-Suite is slipping. Or even that some companies are losing trust in marketing altogether. The existence of any organizational position is for generating revenues- directly or indirectly. Any person at “C” suit position has direct responsibility for business continuity & growth. The potential future CMOs need to have nurturing to develop business acumen to become growth drivers. Finally to put it straight “Efforts are Appreciated, Results are Rewarded”. Right on point, Tom. 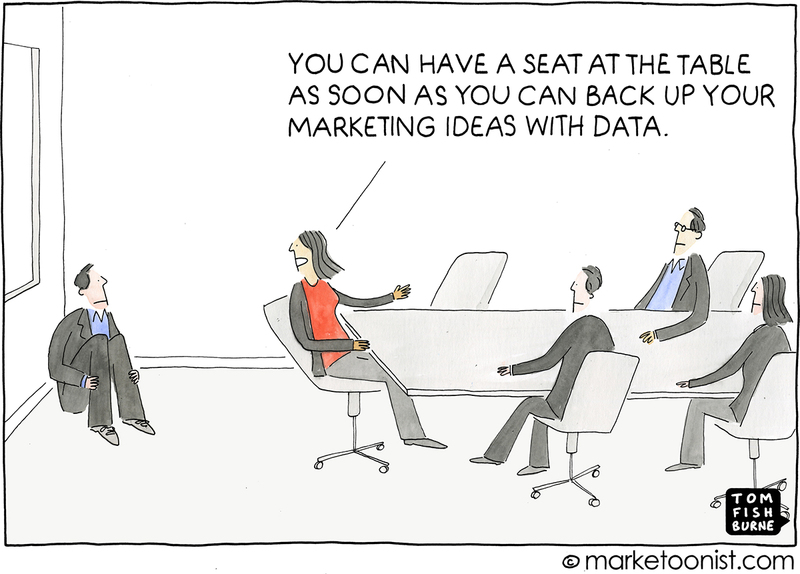 I do think that the movement towards valuing data and financial analysis among CMOs began several years back and be a bit further along than some folks think. 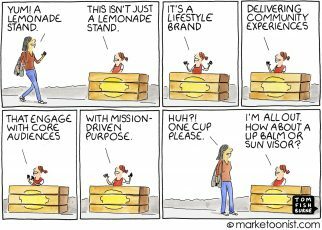 Its sad, how marketing and CMOs are misunderstood by the FCOs and CTOs. hmmm, can rest of the company provide exact roi regarding what they are doing? We can talk about a product (or service, or content…) and see its roi, but can any division prove their roi regarding that product? What I am trying to say, I am not sure this question is valid. What is happening with procurement? More and more firms are realizing procurement can’t work as envisioned during last decade or so…so sure, replace chief marketing officer with chief growth officer, we’ll see what will happen in couple of years. And out of all companies Coca-Cola??? They are all about marketing, their main product is terrible, or if you like CSD, it is not that better than rest of cola drinks. What is the roi of research vs roi of development vs roi of production vs roi of sales … and so on? Can each of these CxOs exactly determine the figures? The enterprise altogether can calculate the roi of a product as a joint success of all of them, any attempt to detail by division will always be contestable. And among all the above stated success factors (i.e. divisions) is marketing one equally important. 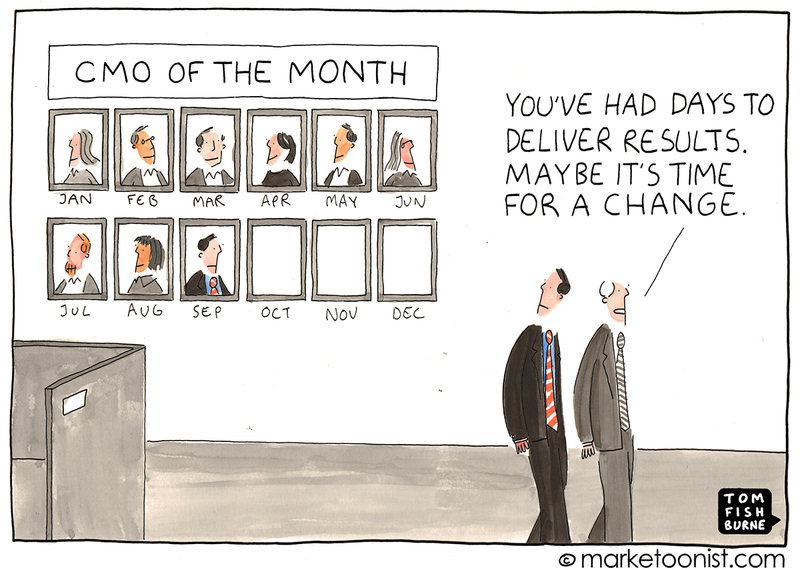 … oh, btw what’s the roi of the CFO anyway? shouldn’t he be replacing himself for the very same reasons? I’m going to quibble with you about something that’s very much a side point. You refer to “consumer brands like Colgate-Palmolive, Coty, Mondelez, and Tyson Foods.” These are brand conglomerates. Excepting Colgate-Palmolive and Coty to a very limited extent, they are not themselves consumer brands. No one buys Mondelez-branded cookies. The Mondelez cookie consumer brands include Nabisco, Nilla, etc. I find this article /point of view simultaneously insulting to marketing leaders and CEOs/CFOs. 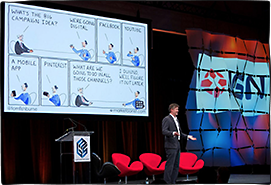 The challenge facing CMOs today is unprecedented. Consumer engagement in a (digitally enabled) age of acceleration has never been more difficult. Instead of reverting to clichéd questions about ROI and crudely focusing on (short term) bottom line metrics, more enlightened CEOs and CFOs demonstrate empathy for the changes occurring on the front lines, promote consumer centricity and call for a more balanced scorecard with top and bottom line growth in focus. I don’t believe the emergence of a chief growth officer is a reflection of the weakening of the marketing function or craft, but rather recognition of the fact that the marketing is more central and accountable than ever in the pursuit of profitable growth. Functional lines are also (rightfully) blurring in this new era and articles/memes – albeit satirical – that hark back to a rapidly aging organisational construct risk appearing as outdated as the old norms at which they are poking fun. 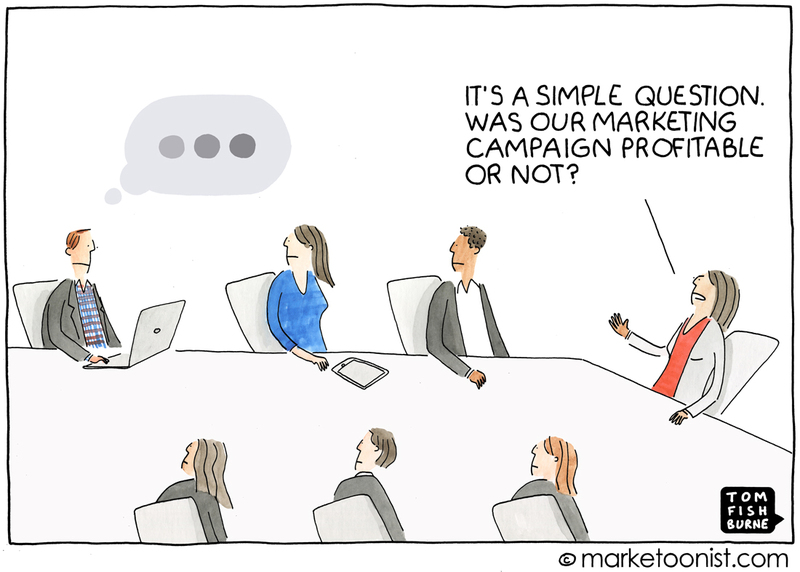 The ROI of marketing is a great cartoon. Keep up the great work. You are my new Dilbert! The absolute best and desirable that can be always high quality is demanded no matter the Mkt campaign effort. If it is to teach the youngsters about the product it is good. If it is to preach abou a new better than it is best. But if it is to turn quality into a fashionable feature than it ought to be minimized for we would have a rework. 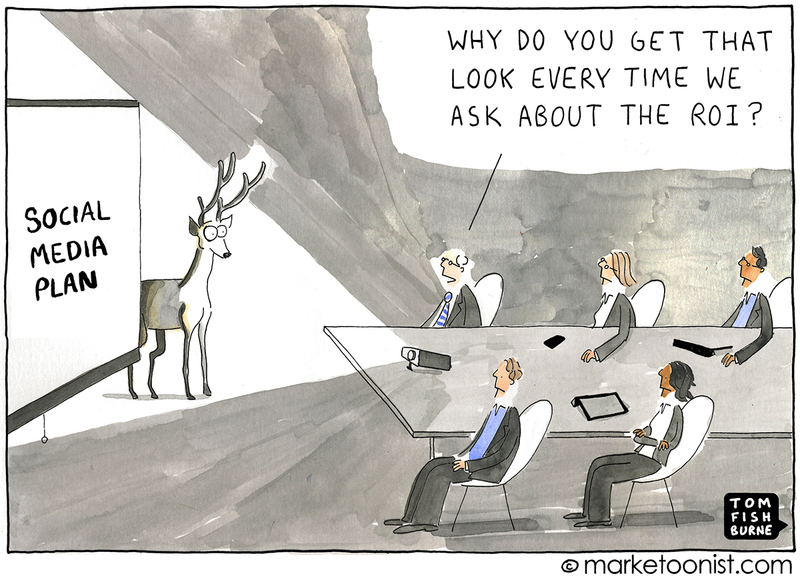 Marketing should never be underestimated for it is the interface though. Spenditures must be minimized to allow the entire society to have access to the product. In addition to these there is need for the experts approval and thus help to the markets decision through the marketing “endorsement” with economically feasible love and care. Because it is a more lovely life if we have desire to have what we need. We ought to spend in Mkt provided that this aggregate more value. Please understand that in a perfect world with all that is best available there would be Mkt as a human activity to enrich the spectrum of possible careers for real talented people. For without Mkt it would be a less of a rich number of possibilities to work with. 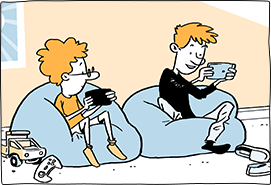 Great article, cartoon and comments! To me if marketing is your role – growth should be your aim. As a lifelong marketer I’ve always looked for ways to ‘move the needle’. 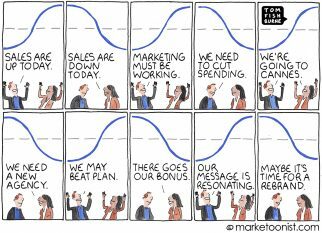 What I have discovered however is that the longer and more complex the sales cycle (B2B especially) the more difficult it is for marketing alone to move that needle. So, a straight ROI or EBITA evaluation on marketing activity alone doesn’t work. There are simply too many factors at play that can affect revenue one way or the other. In those cases, it’s important to set strategic objectives for the company first (or align with objectives that already exist) and then determine the role that marketing can and should play to help meet those objectives. Marketing, like sales, is a process. not an event. By clearly defining objectives that can be measured we successfully step outside of the realm of terms other members of the C-Suite don’t like and into tangible deliverables everyone can get behind. Specific to the organizations we represent. Also, the word ‘marketing’ itself has suffered from a lack of understanding of what the larger role of the true marketer actually is. For many it’s been reduced to mean pretty pictures and witty headlines. If that’s all that’s happening – no wonder it isn’t working. To set the tone with new clients I make sure to let them know that from my perspective marketing is more math than mystery, more content than creative, more data than design.